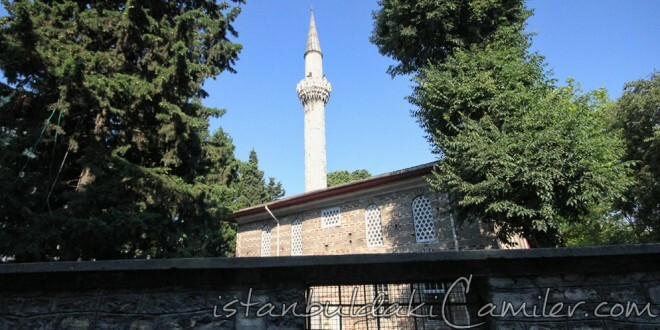 Haci Evhad Mosque, which is situaled on the Haci Evhaddin Road, was built by Mimar Sinan in 1575 for Haci Evhaddin who was one of the chief butchers of the era. It was like a small kulliye with its dervish lodge, Turkish bath and fountains. However, in time, it has lost its originality when it had undergone repairs due to damages occurred because of the earthquakes and fires. The benefactor of the mosque rests in front the mihrab wall. It was repaired by Sultan Abdulmecid. After a fire that broke out in 1920, it was left in ruins for a long while until it was later on repaired by the help of a benevolent person. The historic tiles of the mosque were stolen during this ruined period. The mosque which was structured over and area of 333 square metres has and oblong design with walls made of bricks and stones. There are ladies’ and muezzin mahfils (sections) inside the mosque. In the west front line of the threshold of the mosque there are dervish lodge, kitchen and tevhidhane buildings in disrepair.